GEO5 solves two dimensional limit equilibrium slope stability on circular (Fellenius/Petterson, Bishop, Spencer, Janbu, Morgenstern-Price) or polygonal (Sarma, Spencer, Janbu, Morgenstern-Price) slip surface. Slope stability software that uses convenient drawing procedures similar to AutoCAD to help users establish input files. Can add Reinforced Slope, Soil Nail, MSE Wall, and Shoring. SVOffice and SVSlope represents the new standard in slope stability analysis. Users can perform classic limit equilibrium slope analysis by the method of slices or newer stress-based methods. Uses the DLO method to quickly, easily and accurately analyse geotechnical stability problems of almost any type - including combined problems simultaneously involving slope stability, retaining walls, footings and tunnels. - STABL is a computer program written in FORTRAN for the general solution of slope stability problems by two-dimensional limiting equilibrium methods. - MZ Associates Ltd has ceased trading. Mark Zytynski, the author of the packages SID and STABLE will continue to support these systems on an informal basis. SID and STABLE are available for download free of charge from this site. - XSTABL performs a two dimensional limit equilibrium analysis to compute the factor of safety for a layered slope. - XSLOPE for Windows computes the stability of an earth slope using Bishop's (1955) simplified method for circular failure surfaces or Morgenstern and Price's (1965, 1967) analysis for non-circular failure surfaces. - WinStabl is a pre- and post-processor to STABL6. The package supports: Simplified Janbu, Modified Bishop, and Spencer's analyses. Reinforcing layers. - UTEXAS3 is a slope stability analysis program. Virtually any subsurface stratigraphy, including embedded walls, tunnels and voids can be included. - TSTAB conducts limit equilibrium slope stability analyses of circular slip surfaces by the Simplified Bishop or Spencer methods and searches for the critical circular slip surface. - TSLOPE3 conducts simple slope stability analyses of arbitrary three-dimensional slip surfaces. It allows the user to subdivide the basal surface into multiple zones in order to more precisely define geometry or properties. - TSLOPE solves two dimensional limit equilibrium slope stability analyses of non-circular slip surfaces by Spencer, or Morgenstern and Price methods. - Taylor carries out Slope Stability Analysis according to Taylor's method. - SWASE is a program for sliding wedge analysis of slope failure. Slope geometry defined by coordinates or angles and lengths. - SVDynamic carries out slope stability analyses using the dynamic programming method to determine the location of the slip surface and factor of safety of a slope based on a finite element analysis. - STEDwin 2.6 is a pre- and post-processor for Purdue University's PCSTABL programs from version STABL4 to PCSTABL6 (1999) with soil nailing and geosynthetic reinforcement. - STB carries out slope stability by Bishop's method in a non-homogenous soil, with some additions (e.g. earthquake loading). With a users manual. - STABLEPRO for Windows provides a pre and post processor for data input and output viewing for STABL4 or STABL5. - STABLE carries out slope stability analysis by the methods of Bishop, Morgenstern-Price and Sarma. Analyses may include: point loads, line reinforcement forces, flexible soil geometry for representation of lenses, inclusions, clay cores etc. - SLOPNC is part of the Prokon suite of programs, but is also available seperately. It can be used for the analysis of a generalized soil slope using Sarma and Bhave's non-vertical slice method. - SLOPE/W Basic Edition has the essential features for solving slope stability analyses, including: Ordinary, Bishop, Janbu Simplified, Spencer, Morgenstern-Price and GLE methods. - Slope (GeoStru) carries out the analysis of soil slope stability both in static and seismic states utilising the limit equilibrium methods of Fellenius, Bishop, Janbu, Bell, Sarma, Spencer, Morgenstern and Price. - SLOPE 8R is a program for slope stability analysis with non-circular slip surfaces, using Spencer's method. Analyses one slip surface at a time. - Slope 2000 can locate the critical failure surface of a slope under general conditions with general constraints. The shape of the failure surface can be either circular or non-circular. - SLOPE 12 is a computer program for analysing the stability of slopes, also applicable to earth pressure and bearing capacity problems. - SLOPE performs two-dimensional slope stability analysis to study circular or non-circular slip surfaces. The program uses the method of slices and offers a variety of established methods for calculating interslice forces. - SLOPBG is part of the Prokon suite of programs, but is also available seperately. It allows the analysis of a generalized soil slope using Bishop's modified method. - SLIP is used for circular slope stability analysis. Up to 24 soil layers with geometry specified by coordinates in an interactive graphical display. - Slide 5.0 is a 2D Limit Equilibrium Analysis program with a CAD based graphical interface and a wide range of modeling and data interpretation options. - SHALSTAB is a digital terrain model for mapping shallow landslide potential. It is based on a simplification of the infinite slope analysis coupled to a hydrologic model. - Sarma is a limit equilibrium slope stability analysis program. - QSIM software for dynamic analysis of slope stability utilising Newmarks method with automatic generation of project accelerograms. - PCSTABL 6 is a computer program for the general solution of slope stability problems by two-dimensional limiting equilibrium methods and includes the analysis of reinforced soil slopes with geosynthetics, nailing, and tiebacks. - LISA (Level I Stability Analysis) uses Monte Carlo simulation of the infinite slope equation to estimate a probability of slope failure for use in relative stability assessment of natural slopes. - I.L.A. is a slope stability analysis program that also incorporates features for retaining system designing. 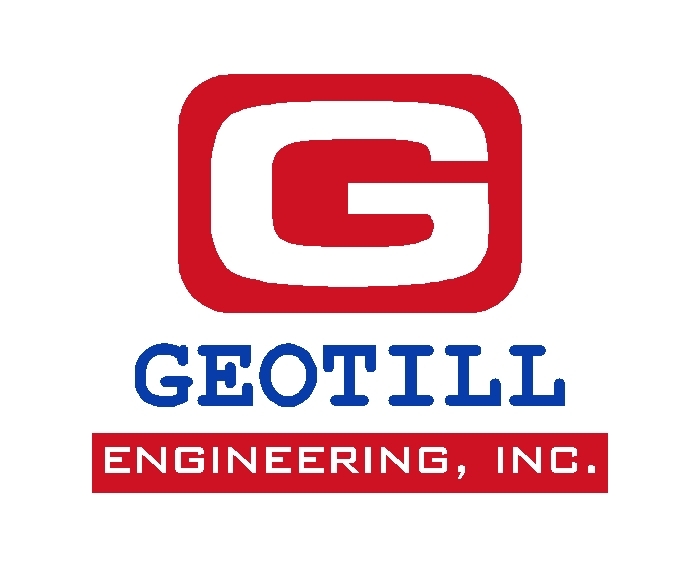 - GSTABL7 with STEDwin v.2 is a 2D limit equilibrium slope stability program based on STABL6 but which includes geogrid reinforcement, piers/piles, tiebacks, soil nails, applied forces, and surcharge loads. - GSLOPE carries out limit equilibrium slope stability analysis of existing natural slopes, unreinforced man-made slopes, or slopes with soil reinforcement. - GGU-SLICE calculates the stability of slope laminae. Colour output and bitmap graphics are supported. - GFA2D performs a global failure analysis for 2D geotechnical problems based on the stress output from a finite element analysis using a weighted method (WFEM). - Geo-Tec B is a cross platform (Windows and Macintosh) slope stability analysis program using the Janbu, Bishop and Fellenius methods. - GeoStar supports standard and improved limit equilibrium methods. Cylindrical or general shaped (polygonal) shear surface. Progressive failure. - Galena is a slope stability analysis program incorporating Bishop (circular), Spencer-Wright (circular and non-circular) and Sarma (non-vertical slices) methods for problem solving in soils and rocks. - Effective Stress Analysis Undrained (ESAU) is an all-purpose computer program for undrained stability, bearing capacity and earth pressure analyses, based on Janbu's Generalized Procedure of Slices. - DLISA (Deterministic Level I Stability Analysis) is a deterministic program which calculates the infinite slope equation for a variety of unknowns. - DC-Slope carries out slope stabilty analysis according to Krey-Bishop (friction circle) and Janbu (arbitrary sliding planes) methods. - CLARA-W is a program for geotechnical slope stability analysis in two or three dimensions, using Bishop, Janbu, Spencer and Morgenstern-Price methods. - CHASM (Combined Hydrology And Stability Model) is an integrated slope hydrology/slope stability software package that aids the assessment of slope stability conditions. - TAGAsoft has been in business for over 15 years, providing innovative, user friendly geotechnical engineering software to internationally recognised companies, consultants and universities. 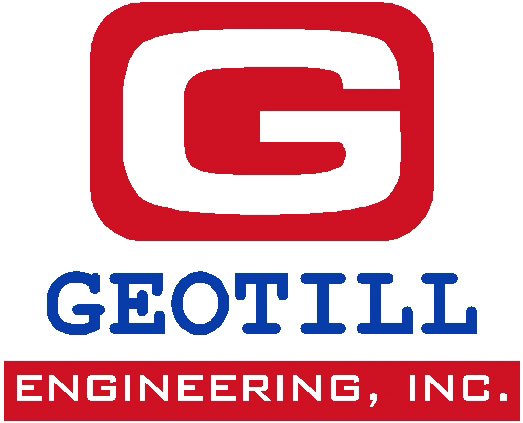 - Our objective at GEO-SLOPE is to create software that is both technically comprehensive and easy to use, making geotechnical modeling accessible and practical for all geotechnical engineers. - MZ Associates Ltd has ceased trading. Mark Zytynski, the author of the packages SID and STABLE will continue to support these systems on an informal basis. 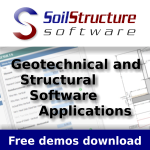 - Geotechnical Software Solutions (GSS) is a developer of software for the geotechnical industry. In addition to STABL, it also sells PYGMY, a program for the analysis of laterally-loaded piles. - Slide 5.0 is a comprehensive slope stability analysis program, complete with sensitivity, probabilistic and back analysis capabilities.